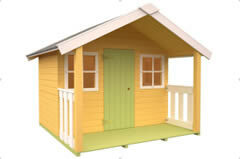 FELIX is the smallest of the children’s playhouses in our range of wooden playhouses. It’s floor area is 1.9 m2 and the door height is 115 cm, so the playhouse will be only suitable for young children up to the age of six. 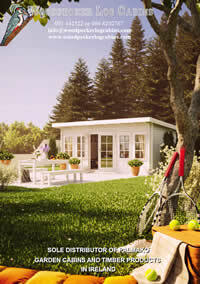 Felix playhouse consists of one room (112 cm x180 cm) with a verandah (68 cm x 180 cm). The door is timber and the two 40 cm x 44 cm windows are plexiglass for added safety. The 70 cm roof overhang provides shelter from the elements and creates additional under cover play area. The total area needed to install this play house is about 9 m2 (3m x 3m). Although the playhouse is only 1.8m x 1.8m, you need at least 60 cm on each side for ease of access. Felix playhouse at its tallest point measures 169 cm and its apex roof is constructed at a 29° angle. The kit is supplied without felt so you can choose whether to use roofing felt or shingles and in what colour. Our Kids Playhouse – Felix is constructed from slow growing and therefore dense and sturdy Northern Spruce that has been precision cut to size. It is delivered in flat-pack kit form i.e. 4 wall panels , 2 roof panels etc. 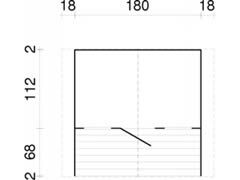 The wall boards are sturdy 16 mm (5/8″) thick tongue and groove boards closely slotted together to minimise draughts. 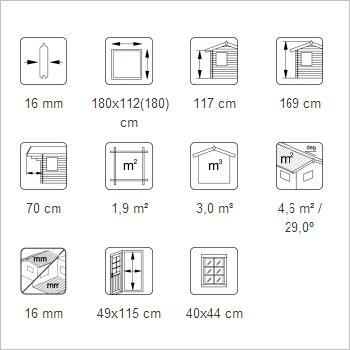 You will also receive all the necessary screws, bolts, hinges, felt and other elements required to assemble the playhouse. You will just require simple tools such as screwdriver, pliers, drill, hammer, knife, spirit level, measuring tape and a ladder to assemble it. Children playhouses don’t require cement foundations. The kit form includes foundation joists, but it is generally a good idea to put them on top of some paving stones, flagstones, railway slippers or even a couple of bricks to raise them of the ground to avoid dampness and prolong their lifespan. This play house complies with European Standards EN 71-1, EN 71-8 and with Directive 2009/48/EC of the European Parliament and of the Council. Although the playhouse has been designed with child safety in mind, it should only be used with adult supervision.